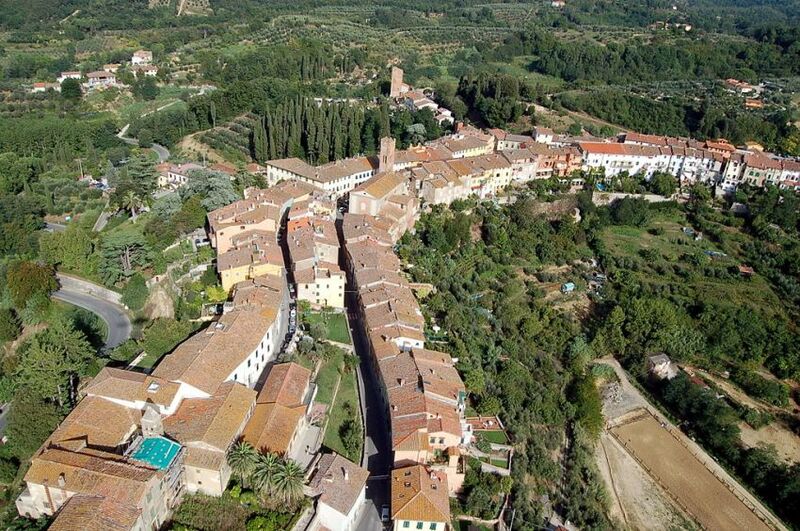 Sprawling out on a low ridge is the medieval town of Montopoli in Val d’Arno. Nearly half way between Pisa and Florence this lovely fortified village for centuries was contested by both cities plus Lucca for its strategic position along the Arno Valley. Historical documents first mention the Castle of Montopoli in 1017 when the Archbishop of Lucca, then the lord of the territory, had it built so as to protect the inhabitants living in the plain against the threat of the barbarians. The raids and sieges became so frequent that the Archbishop eventually moved the population within the castle walls. 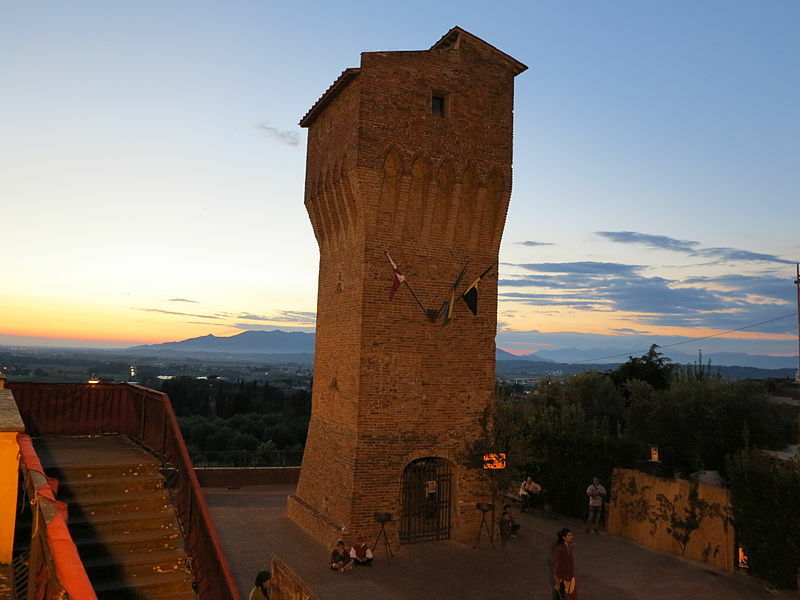 Two centuries later Italian Renaissance poet Giovanni Boccaccio defined it the “Illustrious Castle” whilst celebrating its mighty defences. Today, after a millennium of troubled history, contended, conquered, ravaged by plague and famine, the inhabitants of Montopoli prefer to commemorate when, in the 15th century, the town chose to resolve public office elections with an archery competition. 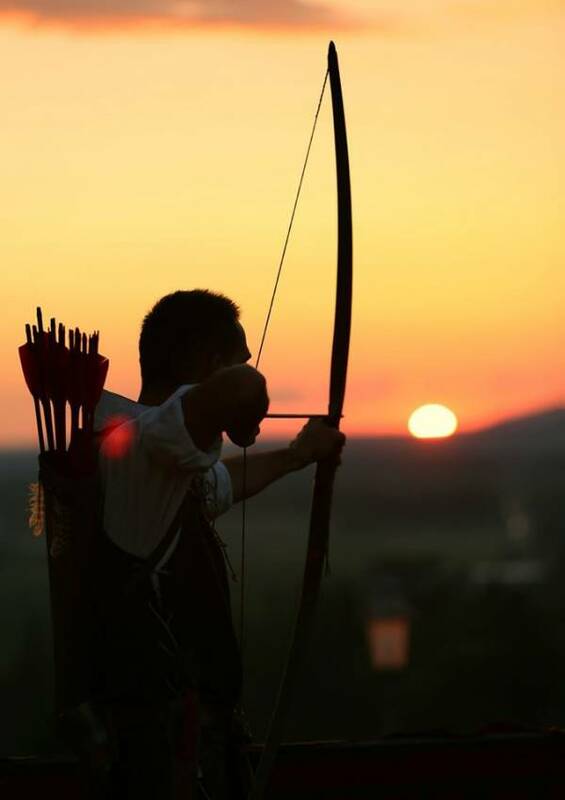 The Rievocazione Storica e Disfida con l’Arco, ‘Historical Re-enactment and Archery Challenge’, in fact, remembers when in 1412 the town was divided into two populations and the podestà Jacopo degli Albizi contrived this ploy. Every second weekend of September, Montopoli hosts this event and watches its two quarters, Santo Stefano and San Giovanni, compete with archers of various age groups. 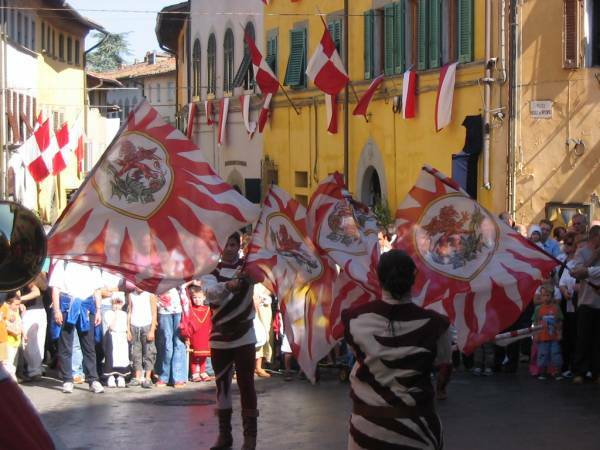 The town will be enlivened by ladies and knights, nobles and musicians, flag wavers and jesters, fire eaters and hawkers, while stalls will be selling handicrafts and delicious local dishes such as the ‘ciaccino’, the typical Tuscan flat bread. If you’re planning to visit this part of the province of Pisa and explore the Arno River valley, then just 2 km from Montopoli is this villa with swimming pool. Surrounded by fields of vineyards, the villa can comfortably accommodate up to 20 guests and is thus a suitable group getaway for large families or groups of friends. Questa voce è stata pubblicata in Accommodations in Valdarno, Events in Valdarno, Festivals and feasts in Tuscany, Folklore and accommodations in Tuscany, Tuscany, Valdarno e contrassegnata con ciaccino, Montopoli, Montopoli in Val d’Arno, Rievocazione Storica e Disfida con l’Arco. Contrassegna il permalink.